Thoughts from Team Kenan: What has couching about citizenship this year taught you? Now in its third decade at Duke, the Kenan Institute for Ethics is a think and do tank dedicated to understanding the moral challenges of our time and creating scholarly frameworks, policies, and practices to address them. We are committed to both empirical and ethical inquiry into how individuals, organizations and societies do, should and can live together and treat one another, about what’s good, right, admirable, or fair. We work with 150 Facutly and Staff and 1,500 students representing multiple disciplines and all 10 schools. 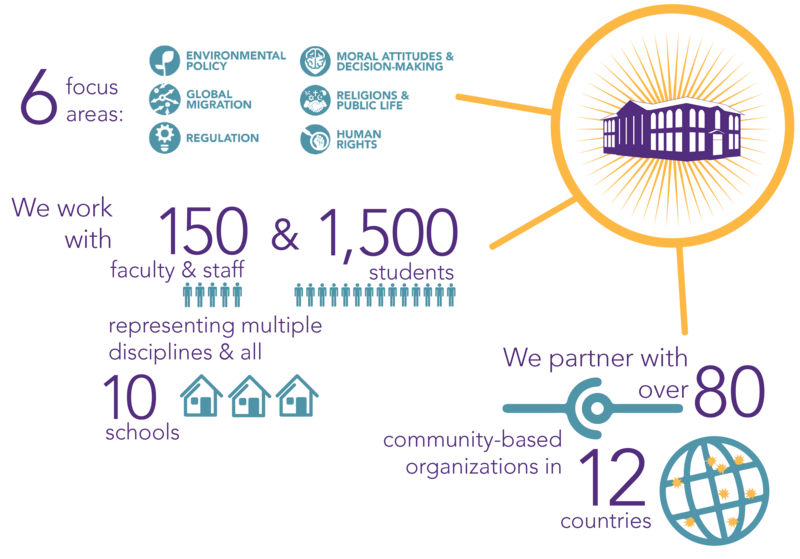 We partner with over 80 community-based organizations in over 12 countries.